Young forest habitats, areas of densely clustered tree saplings and sprouts, have become relatively scarce in Massachusetts over the past 50 years, and now occupy less than 4% of the forested landscape. MassWildlife’s habitat goals call for 10-15% young forest to conserve wildlife that rely on this unique habitat including New England cottontail, American woodcock, ruffed grouse, and golden-winged warbler. The species have experienced decline and need young forests for nesting, foraging for food and evading predators. These same habitats are also used by many songbirds, and by game species such as white-tailed deer, wild turkey, and black bear. 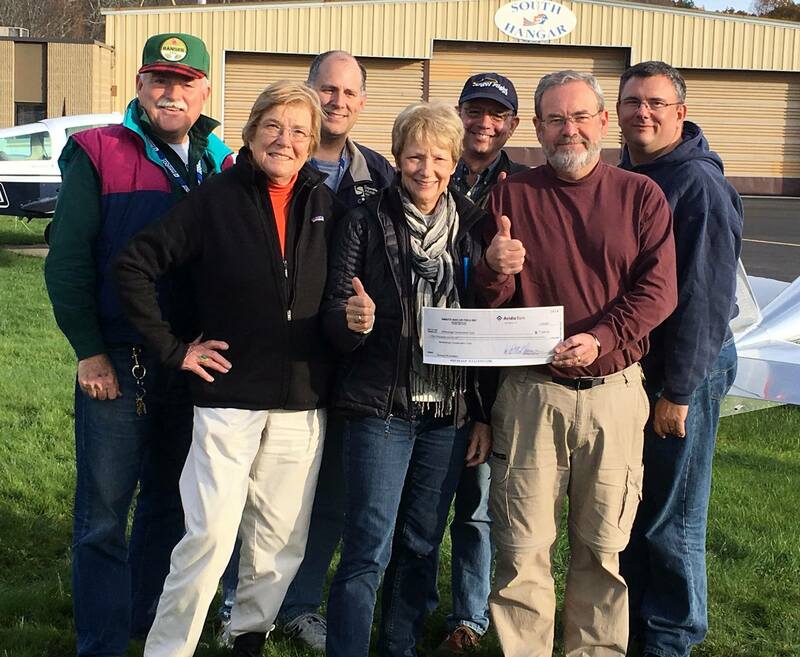 The state is providing technical and financial aid for landowners to create young forests. More details can be found on their page, while information about young forests can be found here. I’m pleased to see that there are two new Geocaches that were placed in Inches Woods (plus a third bonus cache) in late October. Given how often I’m back there, I’m surprised I haven’t spotted them by accident. If you haven’t heard about geocaching, there are millions of ‘caches’ hidden all across the world by individuals – in the center of New York city, Antarctica, and even Boxborough. Using just your phone, or a dedicated GPS device, participants can search out these caches. It’s a nice way to discover new trails, and a great excuse to get outside. The video below does a great job of explaining it. By my rough count we have 64 (!) caches in Boxborough alone, and about 10 on BCtrust land. Some are simple caches – find the box and you’re done, others are multi-caches where you find stages leading up to the final, and some you have to solve puzzles ahead of time to work out the correct coordinates. We even have an earth-cache – a cache without an actual box that’s at the site of a notable geological feature – you’ve guessed it, the Esker. The new Inches Woods’ caches can be found here and here. Sign up for an account at Geocaching if you’re interested in finding these and others. In the BCTrust’s 20 years of hard work, many people in town have been part of the efforts to protect our land. For the 20th Anniversary Celebration we created two timelines, one to show what we’ve achieved, and one to show the board members. Both can be found on the website, and are interactive. The first is the board timeline; you can see all of the board members and click on the legend to filter to the different positions. 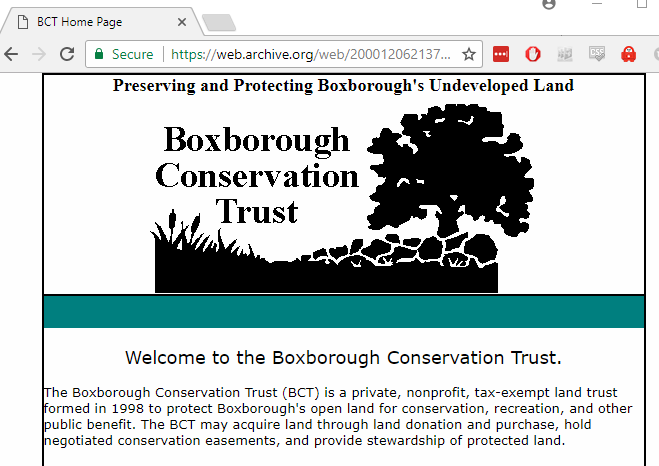 The second is the interactive timeline of events; it includes the incorporation of the trust, our land acquisitions, the work we’ve done to protect other parcels, and our community outreach. The events are color-coded for the type of activity, and you can click each to get more information and pictures. Finally we have a list of everyone else who has helped with Common Ground, Blanchard Art Contents, and so on. Thank you to everyone, including our members who make the BCTrust’s work possible.